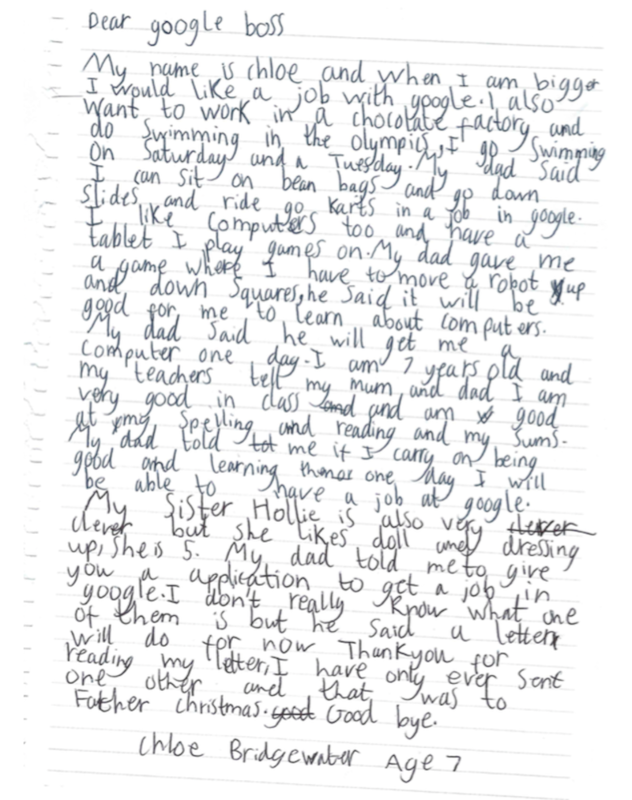 A seven-year-old girl from the UK had written a letter to Google’s CEO applying for a job because her dad told her she can “sit on bean bags and go down slides and ride go karts in a job in google”. 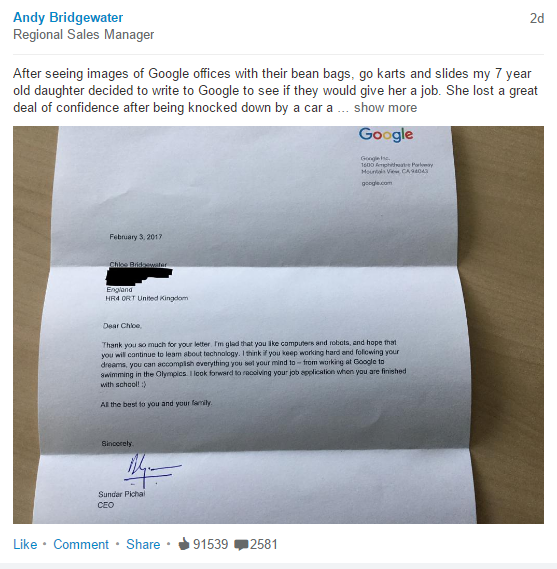 “After seeing images of Google offices with their bean bags, go karts and slides my 7 year old daughter decided to write to Google to see if they would give her a job. She lost a great deal of confidence after being knocked down by a car a couple of years ago. However, to say she is delighted after receiving this letter signed by Sundar Pichai himself is an understatement.